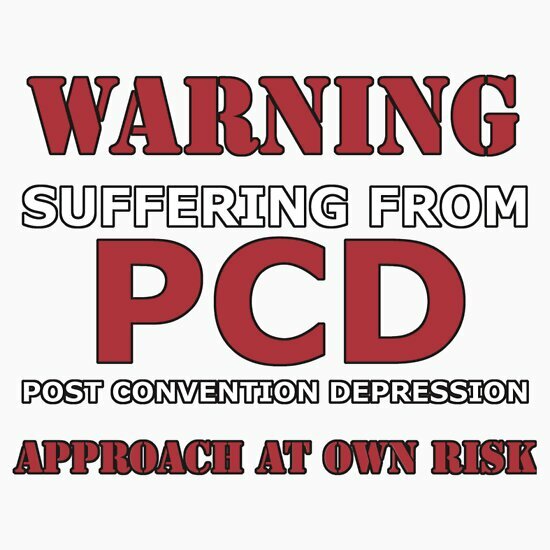 It's a way of life for all cosplayers and we know the pain. 1. Trying to pick more than one Con with what little money you have. NYCC? SDCC? Otakon? Dallas Comic Con? MCM? Local? Overseas? No matter what you pick, your wallet will cry. 2. Agonizing for hours in the queue for ~popular~ cons, only to find they have no tickets left. Of course, because selling all the tickets at the same time is a good idea. NOT. 3. 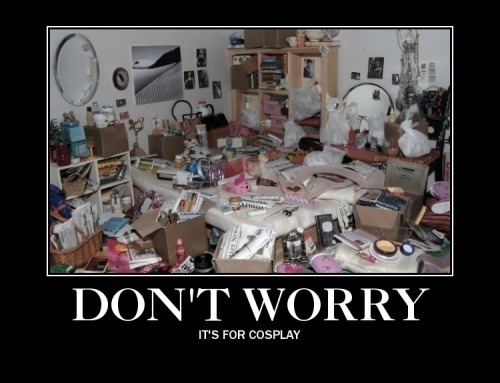 Realizing you maybe have too many cosplays. So many costumes, not enough money to attend cons. 4. Having no time to complete all of your cosplays because you want to make every detail perfect. 5. Or trying to find time balancing your real life with your cosplay construction. Jobs? School? What are those? Are they part of a video game or anime I should know of? 6. Deciding to buy a costume, but it takes weeks to arrive because it comes from another country. 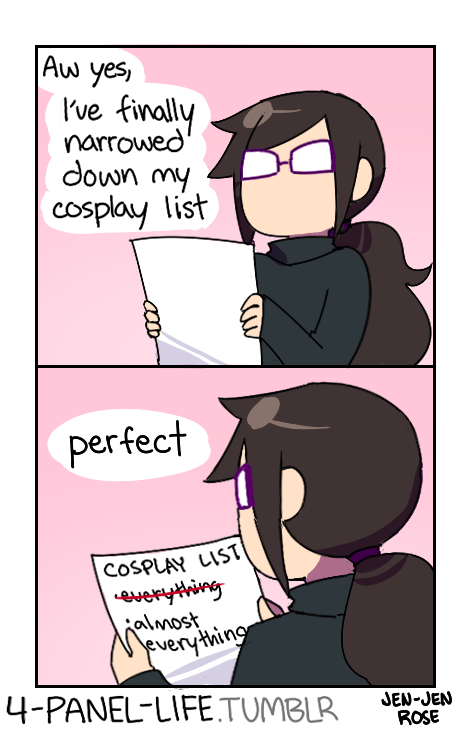 Thou must plan in advanced for cosplay 5 months ahead. 7. And when online sellers display the wrong labels. Oh yeah, "brown" wig. Seems legit. 8. When you wanna crossplay. 9. When receive a costume that's the wrong size, because overseas sizes don't compute with all bodies. 10. What your room looks like when preparing and crafting. Organized chaos in a nutshell. 11. Tangled wigs, AKA every cosplayer's worst nightmare. 12. Packing takes is an adventure in itself. 13. Getting to a Con and having to carry so much freakin' stuff. 14. Putting on body paint. 15. Wearing high heels only for cosplay, and getting horrible blisters. 16. Or even cosplay shoes that just don't fit. Again, we all know the blisters. 17. Getting weird looks on the way to the Con. Yes it's a costume, thanks for pointing that out. 18. When your outfit and the weather do not get along. Cosplaying in the heat or extreme cold is not for the weak. 19. When your important props arrive way too late. Post con blues are a real thing.